Fagor Automation strengthens its commitment to technological innovation by promoting the development of connectivity in its machines, a key factor in Industry 4.0.The goal of the project is to equip machines manufactured by the cooperative with a control interface that is simpler, more customizable and better connected, thanks to open technologies.The project, set to last for at least two years, stresses collaboration among companies in the ICT and Basque industrial sectors. Fagor Automation has reached a strategic agreement with Irontec, CodeSyntax and IK4-Ikerlan to build the Basque cooperative’s machines of the future. This alliance will last for at least two years and will also contribute to generating synergies among the four companies and promote a continuous flow of knowledge among them. This is yet another step forward in collaboration among the technological and industrial companies, as a way of working that aims to position the Basque Country on the cutting edge of Industry 4.0. The project, of vital importance in Fagor Automation’s commitment to technological innovation, has the primary objective of recreating a large part of the HMI (Human-Machine Interface) with web technology in order to make control and display systems simpler and more intuitive, as well as enabling machines to be controlled remotely from anywhere. It is the first step for the industry of the future. 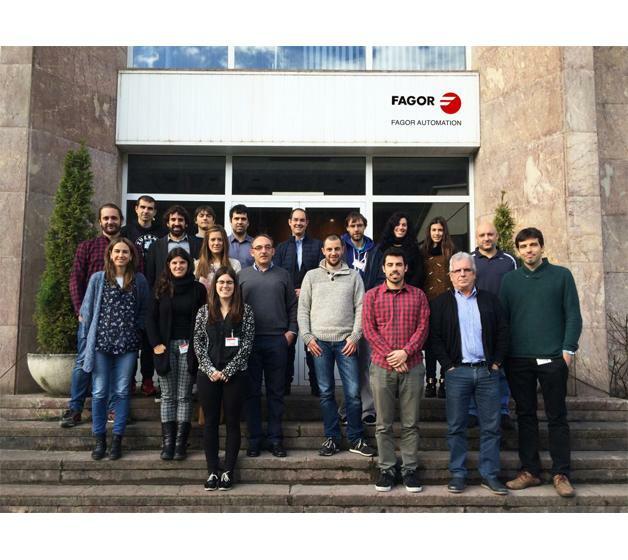 Fagor Automation, member of the largest cooperative group in the world, thus strengthens its R&D efforts with a collaborative model that will enable it to engage in the sustained modernization of its products. The goal is to transfer over the revolution in user interfaces in the digital world and its effect of bringing technology closer to users who are less familiar with it. All this is adapted to the industrial environment and the machine control interfaces in such a way that its use is much easier and more intuitive. This adaptation of machines through web technology will facilitate their hyperconnectivity to the world and permit remote control from anywhere on the planet, using a tablet or mobile phone. On this occasion, Fagor Automation is opting for open standards and technologies as facilitating pillar on which to base the future of its business. Fagor Automation is one of the world leaders in the manufacture and development of automation and control products in the machine tool sector. With an annual turnover of €61 million, the cooperative is committed to internationalization; it is present in more than fifty countries in Asia, North and South America and Europe and employs nearly 600 people.